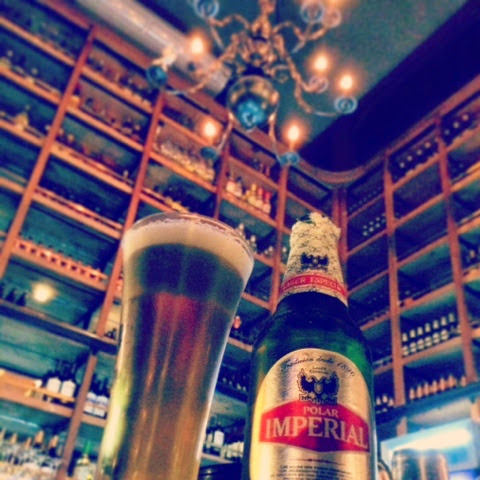 I found an area four blocks from Loreto Hotel called Barrio Bellavista. It was filled with restaurants and bars. At night it was busy, even on a Monday. We found that some restaurants seemed touristy, and some seemed more authentic. Regardless, the only people we ever saw were locals. We were the only NORTH Americans in sight. 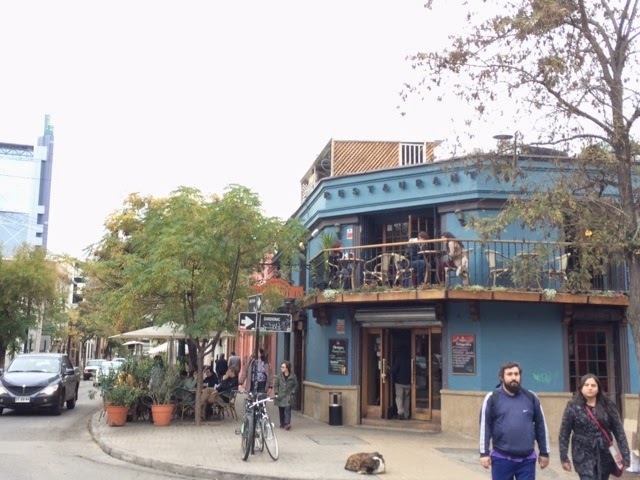 We had a beer on a busy street of restaurants called Constitución, at a corner cantina called Ciudad Vieja, with a library of beer and wine behind the bar. The bartenders would swing across the shelves on the ladder to get the beers requested. 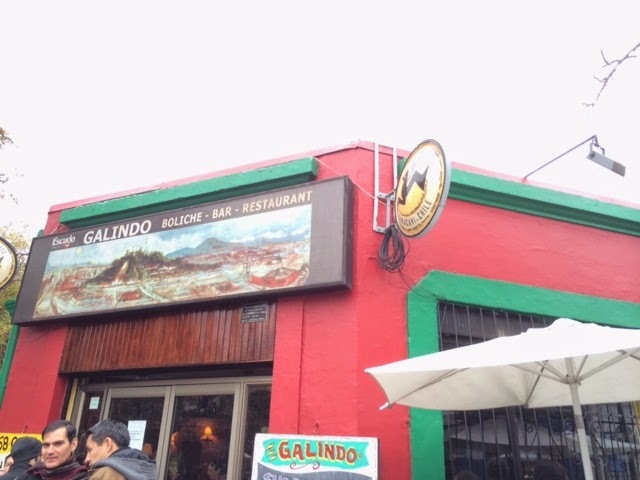 We didn't eat here, but I would if I had more time in Santiago. The tables around us had huge sandwiches (like the lomito) with piles of avocado. Across the street we ate at Galindo on Calle Dardignac where there was a bit of a wait. We don't mind a little wait time when we travel because it usually means the food is worthwhile. A guitarist was playing music on the corner while two stray dogs barked wildly at cars driving by. It was more than enough entertainment for us foreigners. 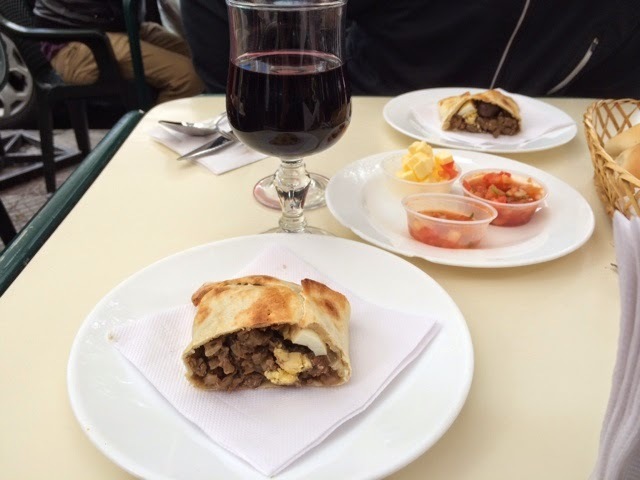 We were seated outside and ordered the house wine and an empanada to start. It was the highlight of the meal. The dough was crispy and filled with beef, onions, egg, olives, and raisins -- a combination of food I would normally heave at, but it was perfectly sweet and savory. 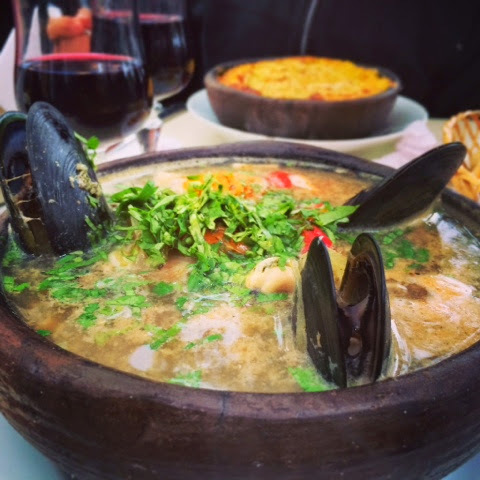 The main courses arrived in huge portions as we soon realized is custom in Santiago. 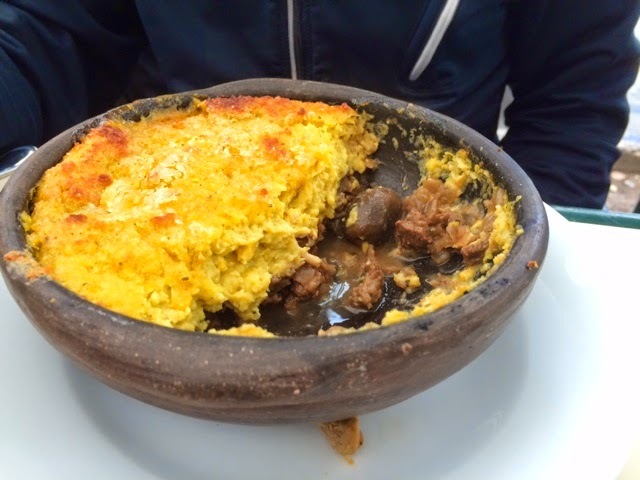 We had the corn pie with all the fillings of the empanada in the bowl. The corn pie came with a sugary crust on time. It was so rich, a bit too rich for two people to finish it all. The seafood soup was no joke. It literally looked like there was a piece of every species of sea creature in this one bowl. Some chunks had scales, some were mysterious, and I even found a barnacle with whatever barnacle meat is hanging out of it. 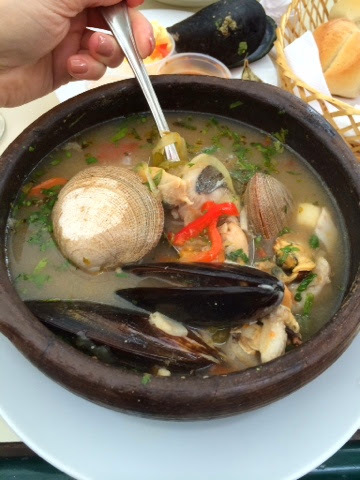 The broth was fishy like Rockaway Beach, nice and warm on this chilly autumn day. Next time I'll pass on the soup but the rest of the food was straight hearty comfort food!